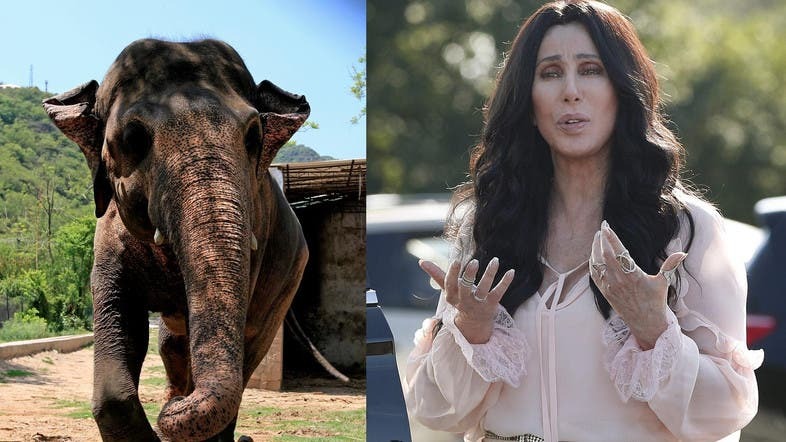 American singer Cher has appealed to the mayor of Islamabad to free a 30-year-old lone elephant and give the animal due dignity. According to a Dawn news report, Mark Cowne, a representative of the singer met with Mayor Sheikh Anser Aziz on Tuesday to discuss proposals to shift Kavaan, the lone elephant at Marghazar Zoo. They also discussed ways to improve the condition of the zoo. Cowne, who is a long-time friend of Cher, said she has formed a charitable foundation called Free The Wild, which aims to protect wild animals in captivity. “Cher says that she believes in freedom for Kavaan, because the elephant has spent too long in a bad and damaging situation,” she was quoted by the newspaper to have said. According to Cowne, Cher has requested that the lone elephant should be given “his freedom and his dignity by setting him free”. They also discussed various proposals regarding the zoo and Kavaan. The mayor told Cowne that facilities for animals at the zoo had been upgraded, said the report. “We are continuously working to improve conditions for Kavaan,” the mayor said, adding that the international community should be satisfied that the elephant is now in safer hands.